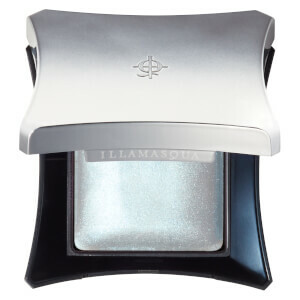 Add strobe-like radiance to your makeup with Illamasqua's Beyond Powder in 'Daze', a baked highlighter powder with ethereal, iridescent finish. Adding subtle warmth and a healthy glow to skin, the silky powder highlighter delivers pearlescent shine that effortlessly enhances high points of the face, such as cheekbones, brow bones and down the centre of the nose. Skin appears fresh and radiant with a flattering, frosted shimmer. 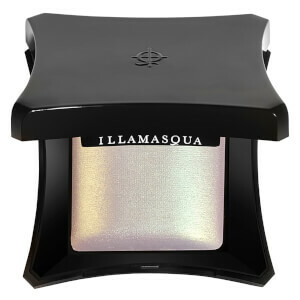 Can also be applied damp on the lids to create a striking, long-wearing metallic eyeshadow. 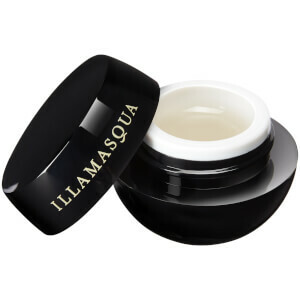 Apply with highlighter brush to the tops of the cheekbones to add instant shimmer and shine. Buff onto the collarbone and shoulders to give an elegant glow to the skin. Dampen an eye shadow brush to create a high shine metallic eye shadow with an ultra long lasting finish.